The device has dimensions roughly like a stick, and is already being sold in the U.S. for $ 35. Chromecast can not be played back on a TV set video, view photos, listen to music and display any tab browser running on a mobile device. In this Chromecast is cross-platform device – it supports not only the system of Google, but Apple, and Microsoft. 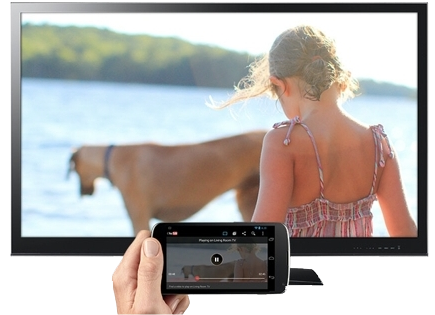 With Chromecast can output video and audio to iPhone, iPad, smartphones and tablets running Android, Windows-based laptops and OS X. Over time, Google promises to add support for new platforms. The device runs on Chrome OS. Currently, support Chromecast implemented in applications Netflix, YouTube, Google Play, Google Chrome, as well as Pandora. Any developer can add support for the device in your application using a free package of tools Google Cast SDK. A preliminary version of the package is available for download. 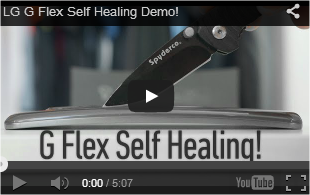 “Sending” content on the TV screen by using a special label that is present in applications that support Chromecast. In addition to playing the content, Chromecast may play a role remote control with adjustable volume, etc. Besides, Chromecast can reproduce the content from the cloud. Therefore, the user can close the application from which he had just “send” content on the screen, or even turn off the mobile device, playback will continue. There is also a synchronization between mobile devices that can be used as remote controls alternately. 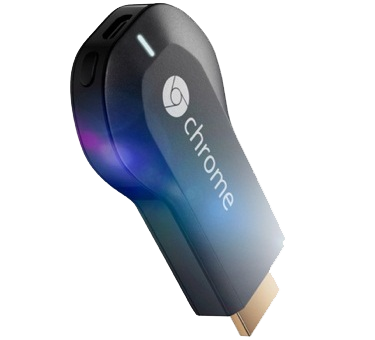 Issue Chromecast – this is the second attempt to compete with Apple TV and the technology Apple AirPlay, which allows you to play content from your iPhone and iPad on your TV via Apple TV. In June 2012, Google introduced a set-top box Nexus Q, but shortly after its release postponed indefinitely because of users complaints. Also worth remembering is not a very successful launch of the platform Google TV. Despite the support of some of the major manufacturers such as Sony, the company did not achieve its goals in its dissemination. Apparently, with Chromecast company has learned lessons, simplifying new device maximally. In addition, its advantage is the support of third-party systems. You can order one today from the Google Play store.